This was an unenviable task, but there I combined a pose from round 2 and the blood of round 4 to try to tell the story of the main event. It was a perfect microcosm of the entire fight, with Poirier putting hands on the featherweight great like no other fighter has ever done before, and Holloway daring his opponent to try and finish the job. 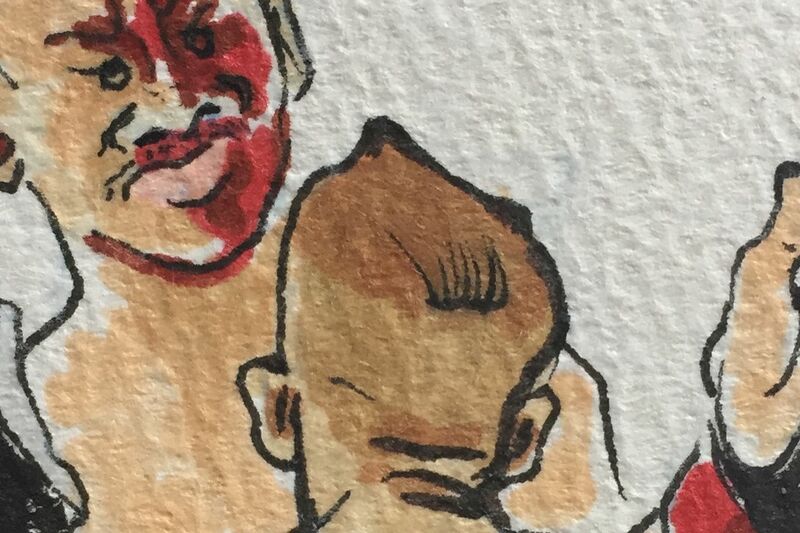 Hey all, I’ve secretly been working on a book called The Year In Fighting: 2019. 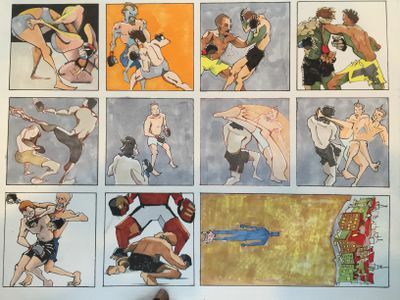 It is an illustrated chronicle of everything significant, amazing, and of note that happens in MMA this year. I’ll occasionally post updates here, but you can check out the Patreon page I just launched for regular updates. 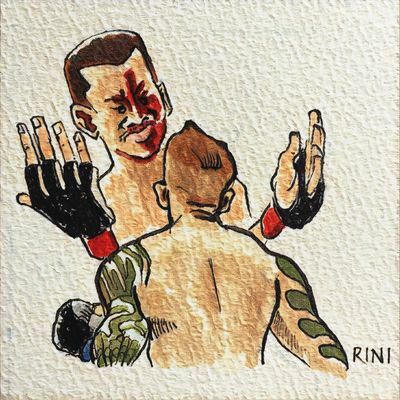 Thanks for all your support, I can’t tell you how much I enjoy making MMA Squared and this new project. Take care of yourself and I’ll talk to you tomorrow. Chris. Next Next post: What’s Next For Max Holloway?